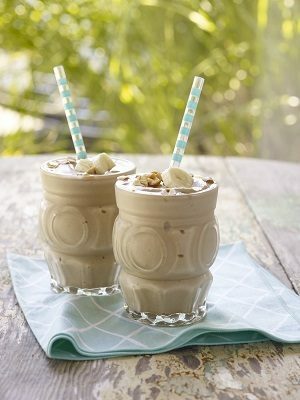 Place bananas, peanut butter, milk and ice into blender. Blend on high until smooth. Divide evenly into two glasses. Top with banana slices and peanuts if desired. Serve immediately.